Classic design and an amazing ring! 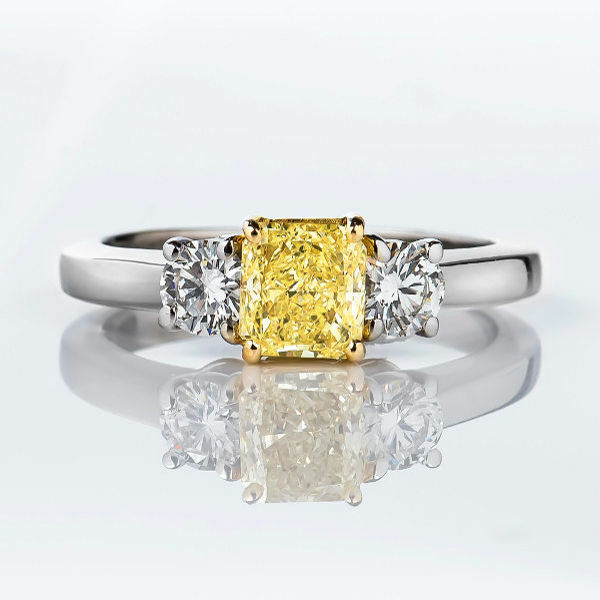 3 stone fancy yellow diamond ring. Center diamond is a 0.77 carat radiant cut fancy yellow diamond. It is flanked by two round white G color vs diamonds weighing 0.44 carats. Altogether this beautiful 18k gold ring features 1.21 carat of diamonds.